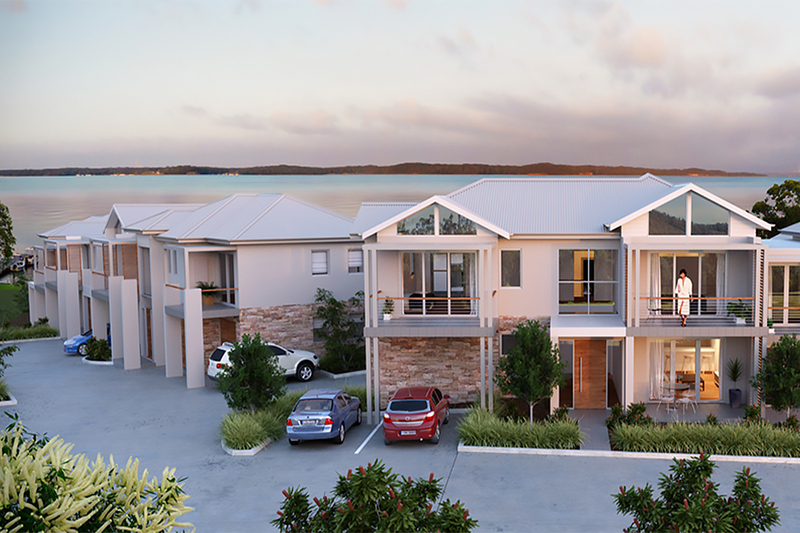 Comprising a total of 18 townhouses fronting Lake Macquarie, these apartments pick-up on the design aesthetic of the established built environment, with articulated building forms and pitched roofs. 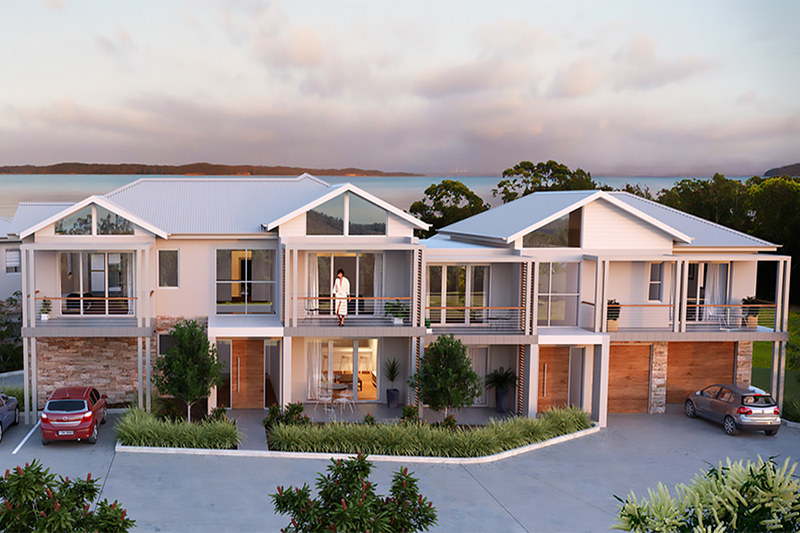 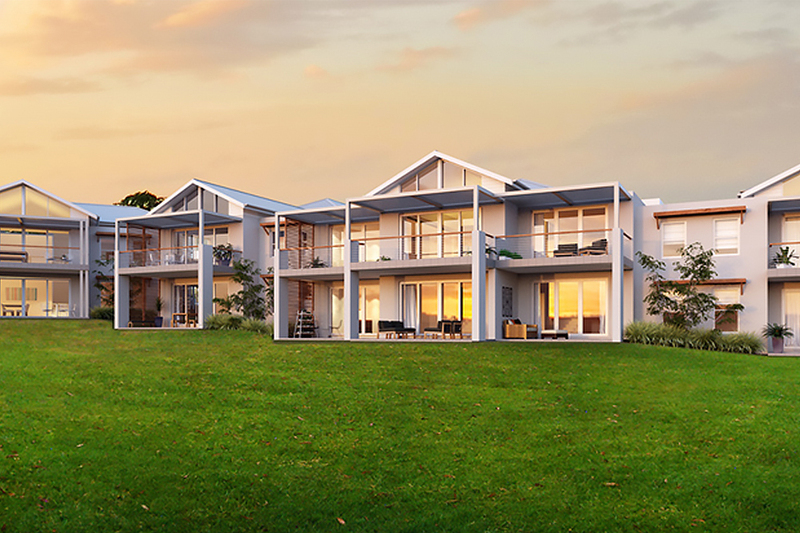 Surrounded by beautiful landscaped open spaces, resort pools and Lake Macquarie beyond the buildings are designed to provide the best access to the views without compromise to view or amenity. 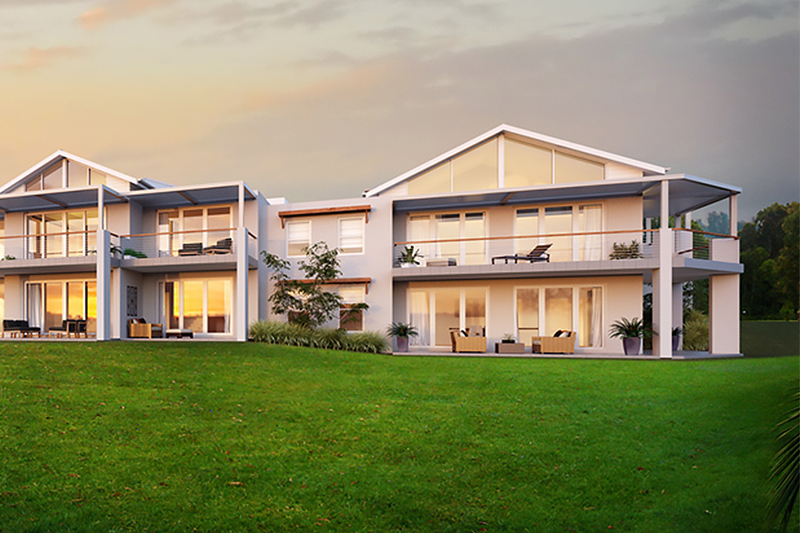 Each unit has open plan Living and dining which has opens directly onto large balcony spaces. 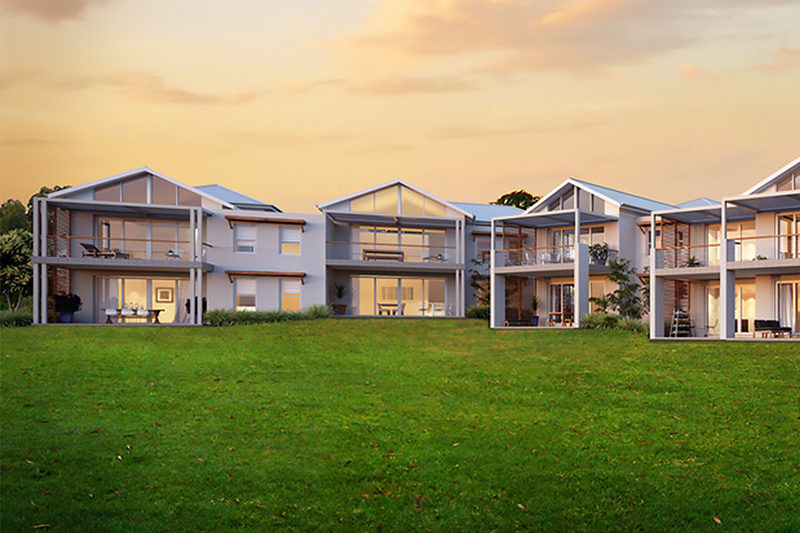 Each apartment has a single lock up garage which has internal access to the entry foyer for sheltered access from vehicle to unit.